A three Judge Bench of the Supreme Court headed by the Chief Justice of India has held that reference of a case to a larger Bench necessarily has to be for a reconsideration of the principle of law on which the case has been decided and not the merits of the decision. In Gopakumar B Nair Vs CBI and another [SLP (Crl) 8914/2013] the Court was considering the plea by the accused to quash the Criminal Proceedings under Section 13(2) and Section 13(1)(d) of the Prevention of Corruption Act and Sections 420/471 IPC read with S.120B IPC on the ground that they had entered in to an out of Court settlement with the Complainant (bank) and the entire amount due to the bank has been repaid. 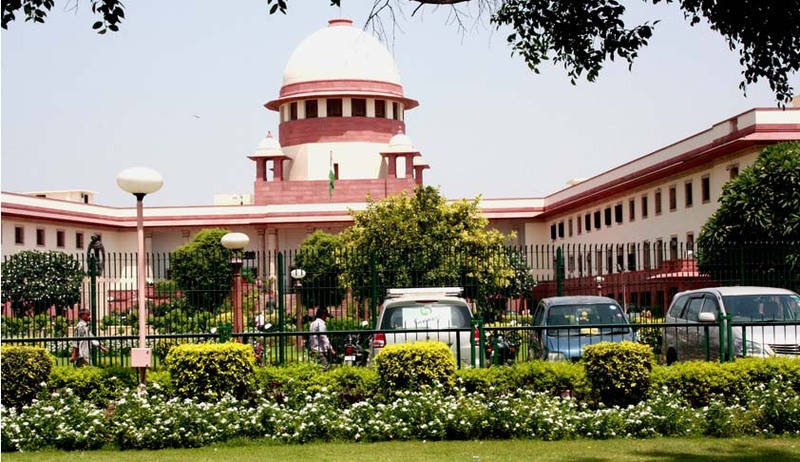 Placing reliance on the decisions of Supreme Court in Nikhil Merchant vs. Central Bureau of Investigation and Another and Gian Singh vs. State of Punjab and Another and a recent pronouncement in CBI, ACB, Mumbai vs. Narendra Lal Jain & Ors. it is contended that in view of the settlement arrived at between the bank and the accused, the High Court ought to have exercised its power under Section 482 Cr.P.C. to quash the criminal proceedings against the accused. On the contrary, Sidharth Luthra, Additional Solicitor General has submitted that the decision in Nikhil Merchant (supra) turns on its own facts and what has been approved in Gian Singh (supra) is merely the principle of law laid down in Nikhil Merchant (supra), namely, that quashing a non-compoundable offence under Section 482 Cr.P.C., following the settlement between the parties, does not amount to a circumvention of the provisions of Section 320 of the Code of Criminal Procedure. According to Shri Luthra, whether a criminal proceeding should or should not be interdicted midway would really depend on the facts of each case. After analysing the facts the Court held that the facts in the present case are easily distinguishable from the facts of Nikhil Merchant Case. “The appellant has been charged with the offence of criminal conspiracy to commit the offence under Section 13(1)(d). He is also substantively charged under Section 420 (compoundable with the leave of the Court) and Section 471 (non- compoundable). A careful consideration of the facts of the case would indicate that unlike in Nikhil Merchant (supra) no conclusion can be reached that the substratum of the charges against the accused-appellant in the present case is one of cheating nor are the facts similar to those in Narendra Lal Jain (supra) where the accused was charged under Section 120-B read with Section 420 IPC only. The offences are certainly more serious; they are not private in nature. The charge of conspiracy is to commit offences under the Prevention of Corruption Act. The accused has also been charged for commission of the substantive offence under Section 471 IPC”.